I always loved art class. The idea of transferring my inner thoughts onto a physical surface was a magical prospect. Creating something beautiful and expressive seemed like the epitome of being artistic. Unfortunately, art class didn’t like me back. I was terrible. Anything that required any sort of precision work with my hands left me in tears. I had grand visions of presentation boards for projects at school, but couldn’t cut in a straight line; I smudged all my work. Although disheartened, the need to express my creativity in a visual way never disappeared. I cycled through pointillism, quilting and painting. I discovered collage I even got into interior design for a while. Eventually, I had to admit it: I am not an artist. A few year later, I stumbled into coding when I was looking for a new career - I vaguely remembered enjoying myself with some basic coding at a youth computer camp. Why not give it a try now? Once I started working on real projects, I realised that web design was the creative medium I had been searching for all along. 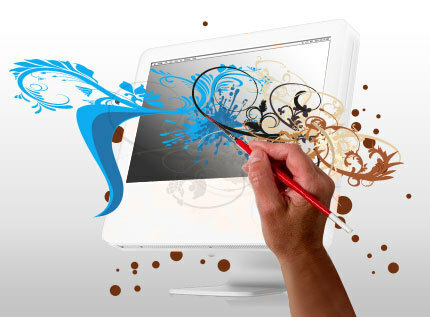 Web development and design was the perfect combination for my logical and creative passions. For the first time in my life, I was able to materialize what I “saw” in my head onto a (digital) canvas. I love using CSS to make beautiful web pages. I love how one tiny bit of code can truly change the whole look of a page, and the more I use it, the more I realise that the possibilities are truly endless. I discovered Google Fonts, which opened up the world of typography. Rifling through their library in pursuit of the perfect combination of fonts is my favourite part of web design. You can even use it to find matching or coordinating fonts! This tool has become invaluable, as it allows you to use a multitude of fonts without having to download them all yourself - they are loaded onto your website after you reference the file in your HTML header. I’ve also learned that with hex colour codes, you can access any colour or shade in the universe. You don’t have to mix the paint yourself. With this website, I’m able to choose the hex colour code from any uploaded image. 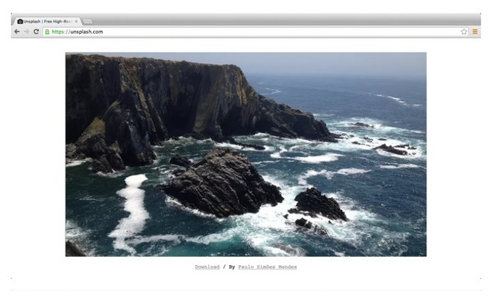 During the course, I was also pointed to Unsplash’s database of high resolution images. I’ve noticed that choosing a background image is often my first step when designing a new website. Using these free images on your projects will help them look much more professional and polished. Through web design, I have finally found a platform to express myself. I’ve learned that it can be just as precise of an art as drawing or painting. I can’t wait to keep experimenting, and seeing where this medium takes me. Everyone has an artist in them, it’s up to you to find your own paintbrush. Editor’s Note: Since Andra joined us, we’ve announced TWO new courses in design: Web Design & UX Design. Sign up for the next class!